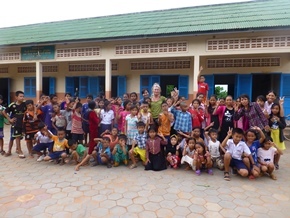 Where Do You Volunteer, CHAB Schools, Siem Reap? Apply for a Volunteer With Us Today!! Local villages struggle every day to combat a variety of societal issues. These issues include poverty, malnutrition, a lack of teacher to teach children in local schools, no sanitation, no water wells, and insufficient educational funding for vulnerable children and healthcare of children and communities. How long and far is it? The CHAB works in local villages in Siem Reap about 5 km from Siem Reap town and 15 minutes’ drive. In each of these local villages, volunteers work with CHAB’s non-profit schools, community health check program and teaching English to address changing and complex needs in education, and playing with kids. Volunteering is an incredibly fulfilling and worthwhile experience for the community and the volunteer. All of our projects were established in the local villages, ensuring that the time our volunteers spend within the projects will benefit the community in a sustainable manner. A prominent reason is why people volunteer in local villages because they want to do something good others. We work with local villages based all local villages focusing on the areas of least development and facing issues. Use your strengths to help others. Some of our projects do require a specific skill set but in general all we ask for is the want to success and make a difference. 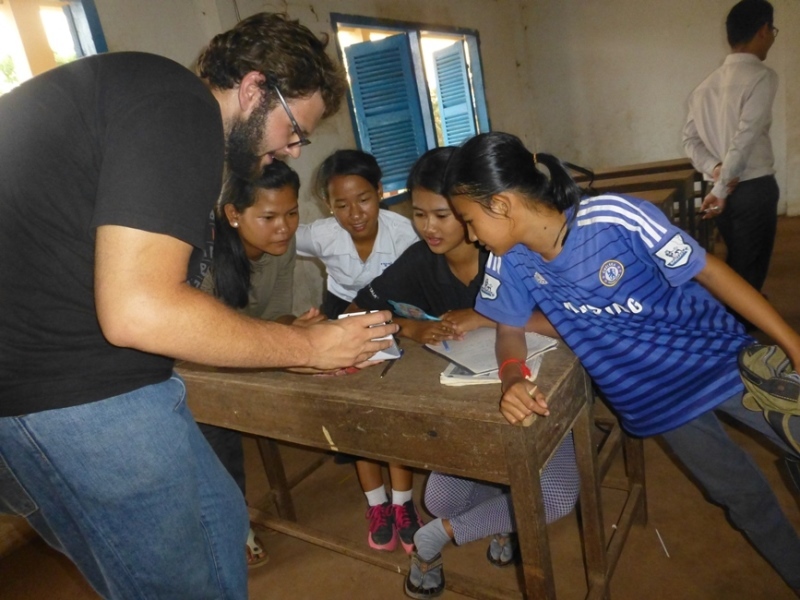 Volunteer in local villages of Siem Reap!! All of our projects, from teaching English to building local children's ability, offer life skill to local villagers and children. You can aid development of local villages. Do you enjoy working with children? 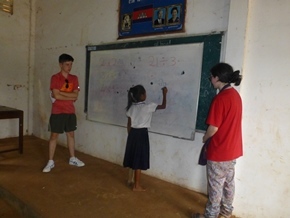 You bring a smile to youngster’s faces by working with local children from Siem Reap's local areas and life experience. What can you receive from your volunteering at CHAB? 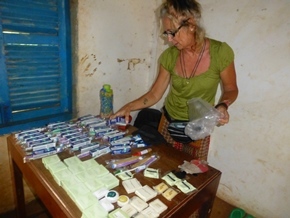 People volunteer for a wide variety of reasons, especially wanting to help others in local villages. But it's also ok to want some benefits for you from volunteering. The best volunteering does involve the desire to serve others, but this does not exclude other motivations, as well. Instead of considering volunteering as something you do for people who are not as fortunate as yourself, begin to think of it as an exchange. Please think and volunteer with us to help local villagers and children. There are many issues to solve in the local areas. We need your skills to deal those issues in local poor villages. 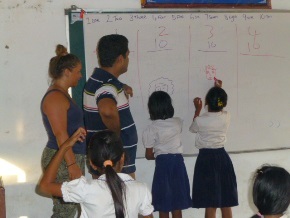 We established local non-profit schools for volunteers to help local children and communities. And we also have the program of health check for local children and villagers, sanitation and training. These are issues we need you to help solving with us today. Consider that most people find themselves in need at some points in their lives. So today you may be the person with the ability to help, but tomorrow you may be the recipient of someone else's volunteer effort. You can contact us as follow: info@humanitycambodia.org or call +855 (0) 92 688 508/ 098 99 77 47.